1. How do I submit the paper? 2. How much time to complete a review? Ans: Each submission undergoes detailed review by appointed domain experts and peer-reviews by domain peers. Results will send as soon as possible after completion of the review process. 3. What are paper publication charges? Ans: Visit this Link Publication Charges. 4. How to pay fees? Ans: Visit this Link Mode of Payment. 5. How to correct an experimental data in my published paper? 6. I haven't received any IJCTT notification even after 10 days of submission! 7. My paper exceeds 10 pages! 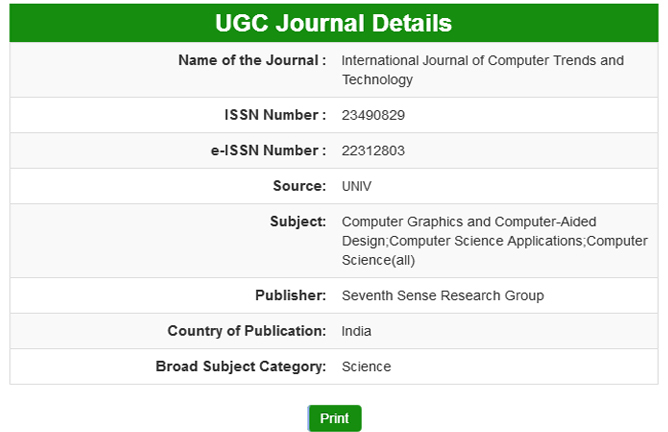 Ans: IJCTT policies allow the publication of a normal paper may contain up to 4 authors and 10 pages. If exceeds no problem, send your paper we will allow based on technical excellence.